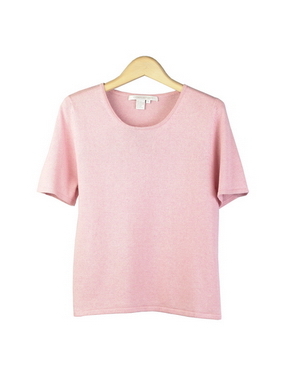 Women&#039;s silk cashmere jewel neck short sleeve sweater has three soft heather colors available. 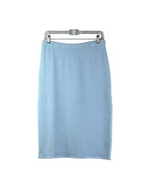 This fine silk cashmere flat knit is easy to fit and clean shaped. It matches all the Eyelash design sweater jackets and skirts. The short sleeve silk cashmere top is also a great layering piece for other jackets and blazers. Ultra soft and comfortable luxurious top for the fall and winter. Mid hip length. Three elegant heather colors: Blue, Gray, and Pink.